Harvard Law is now accepting the GRE. Could other schools follow? When the University of Arizona started accepting a generic graduate school exam for law school applicants last year, the national group that oversees such admissions chastised the university and threatened to oust it from its membership. 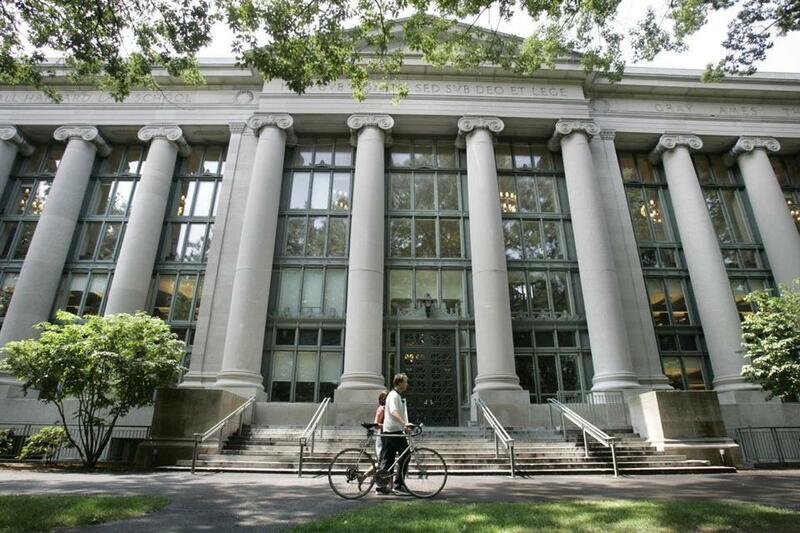 But now that Harvard, the gold standard, is following suit, there is growing hope that dropping the traditional Law School Admissions Test as a requirement for applicants across the country could lead to a larger and more diverse group of lawyers entering the field. Nationwide, the number of students applying to law school has plummeted by nearly 40 percent since 2006, as the job market for lawyers has contracted and students have become increasingly wary of loading up on debt without a reliable way to pay it off. Many law school deans argue that allowing students to take the GRE, the basic entrance exam used by graduate programs ranging from chemistry to philosophy, will encourage a broader array of applicants to consider law school. The exam can be taken any day on a computer at more than 1,000 test centers in more than 160 countries. It tests verbal reasoning, math skills, critical thinking, and analytical writing. 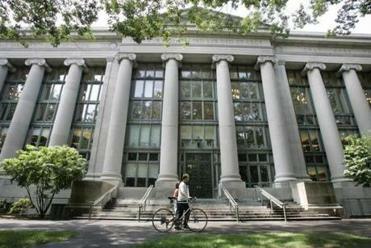 Starting this fall, applicants to Harvard Law School can submit GRE scores instead of LSAT results, the school announced. The LSAT must be taken on paper and is administered just four times a year, at fewer locations worldwide. It tests reading comprehension, analytical reasoning, and logic. Students often take both tests so they can apply to different graduate schools, and prep courses for each can cost more than $1,300. Allowing students to take just one exam would ease a major financial burden, some law school administrators contend. The University of Arizona James E. Rogers College of Law started the movement away from the LSAT last year when it became the first school to accept the GRE in hopes of attracting a wider pool of applicants. The university pointed to a study that found the exam was a reliable predictor of its students’ first-term grades. That study was needed to satisfy the American Bar Association, which accredits law schools and requires any that do not use the LSAT to prove another “valid and reliable test” can assess students’ ability to succeed in law school. But Arizona was rebuked by the Law School Admission Council, the nonprofit that administers the LSAT. The council threatened to expel Arizona from its ranks and only backed down after nearly 150 law school deans, including Martha Minow of Harvard, rushed to the school’s defense. “Experimentation benefits all of us,” the deans wrote in a letter to the council last year. Earlier this month, Harvard said it would follow Arizona’s lead, lending its prestige and clout to the movement challenging the LSAT’s dominance. Although Harvard has seen only a small drop in applications since 2010, its administrators say they are still interested in widening their applicant pool. Accepting the GRE could make the school more attractive to international students, graduate students applying from fields such as computer science, and low-income students, said Jessica Soban, the associate dean for strategic initiatives and admissions. “Introducing choice into the process can lower the barriers for students, and that could have benefits for any law school,” Soban said. Many deans hope the American Bar Association will give its blessing to law schools nationwide that want to accept the GRE. “If that happens, it will really open up the floodgates,” said Eric J. Mitnick, interim dean of the University of Massachusetts Dartmouth Law School. Currently, the bar association requires individual schools to produce studies showing the test is a valid predictor of student success. Suffolk University Law School launched such a study last week, after enticing students to take the GRE with a $100 stipend. But skeptics say simply requiring a different standardized test isn’t going to make law school more attractive, as long as the job market remains weak for lawyers. Eliminating the LSAT as a unique testing requirement could also encourage more students to enter law school who have not thought carefully about whether it’s the right career choice, said Kyle McEntee, executive director of Law School Transparency, a watchdog group. Law school, he noted, is already considered a default path for many students. Students, however, seem to like the idea of dropping the LSAT as a nail-chewing rite of passage. “It would have been nice to have taken one test and know that I could apply to multiple potential grad school paths,” said Jonathan Roberts, a Harvard senior who took the GRE and the LSAT because he is hoping to get both a law degree and a PhD in organizational behavior. Still, he doubted the claim that moving to the GRE would truly allow more low-income students to apply to law school. Michael Levenson can be reached at michael.levenson @globe.com.